Astoria’s historic Merwyn and Riviera Buildings are set to receive grant awards for rehabilitation to promote economic development in the National Historic Register District. In March, Sarah Lu Heath, Executive Director of the Astoria Downtown Historic District Association (ADHDA), submitted two grant proposals for the renovations of two downtown landmark buildings. Awards were announced on May 9, and Astoria’s projects were chosen for full funding; one of only two cities in the state to receive more than one grant award. Overall Oregon Heritage, awarded 27 matching grants worth $2,355,700 to Oregon Main Street Network organizations across the state for building projects that encourage economic revitalization. Projects range from façade improvement to elevator access and seismic upgrades and awards range from $17,500-$100,000. The grant program was created during the 2015 legislative session, and placed with the Oregon State Historic Preservation Office. The legislation established a permanent fund for the Oregon Main Street Revitalization Grant, and provided an initial infusion of funds from the sale of lottery bonds. 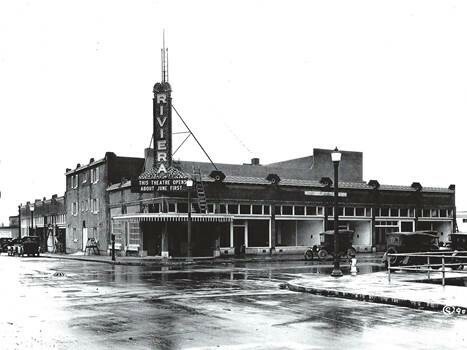 These projects will be used as pilot projects to prove the impact of historic building renovation as means for economic development in hopes of securing permanent funding for the Oregon Main Street Revitalization Grant.